Q: Who is this program for? Who will be my classmates in this program? A: MGM—Master of Global Management is a full-time postgraduate degree program customized for international recent graduates with interest in both international business management and Chinese economy, having multi-cultural aptitudes and aiming to take up international leadership positions in their career. MGM’s classes will be a multi-national community where there are students from over 30 countries and regions including China, Germany, France, Italy, Belgium, Switzerland, Morocco, Portugal, USA, UK, Netherland, Luxembourg and etc. Q: How can I apply for Tongji-MGM? You may click the blue button “RECEIVE INFO” first and then follow the instruction steps to submit your application. In the online application system, you must choose International Master’s Degree in Corporate Management (2 years) (120202), and remember to send the generated online application PDF to SEM coordinator (tongji_sem_yu@hotmail.com) for preliminary review. Q: When is the deadline of applying for this program? The application deadline for MGM is the 31st of May for fall semester’s intake. All the application documents should be received by the 31st of May, or it will be considered as a waiver of application. Q: Is the TOFEL/IELTS required for all the applicants? A: Native English speaker or the applicants with bachelor degrees in native English nations can be waived from English requirement. An IELTS or TOEFL English score is required for applicants from non-native English speaking countries. GMAT and GRE are optional, but is a plus. Q: What is the requirements for recommendation letters? Should they be academic, or professional ones could also be accepted? A: It would be better that the recommendation letters to be issued by faculty members from universities, however it is also acceptable if one letter is from university, the other from the employers. (Signature and contact information are necessary, sealed in envelop). Q: What is the expected contents for personal statement? A: You may cover the topics like your study and work experience, academic research achievement, planned research proposal, your motivation to apply for MGM, and your future career development plan and etc. Q: How many intakes are there every year for MGM programs? A: We have one intake every year in September. Q: How does Tongji-SEM evaluate candidates? A: We take a comprehensive look at each applicant’s transcripts of Bachelor study, IELTS/TOEFL English scores and English proficiency certificate, academic background, and recommendation letters. We may arrange online interviews when necessary. Q: Can I ask my friend to submit the application documents in person? A: Yes, you can entrust others to submit your application documents, or send the documents by post before deadline. Q: Are there any funding programs available? How to apply? A: We offer a variety of scholarship. You may visit http://study.tongji.edu.cn/index.php?classid=11009 for detailed information. To apply for Tongji dormitory scholarship, please contact our program coordinator. 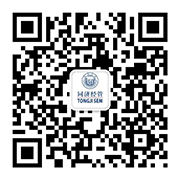 Q: Is it possible for me to obtain pre-admission certificate from Tongji? A: Please note that Tongji University does not provide any type of pre-admission letter. Q: Does Tongji offer on-campus housing? How do new international students find apartment? A: There is limited offer of on-campus housing on main Siping campus. Many new students stay in a temporary hotel until they find an apartment. Chinese buddy program will help you get settled in Shanghai. Most of our international students choose to live off-campus (2,500 – 3,500 RMB/month). Q: What is the living cost in Shanghai? A: Shanghai is one of the most expensive cities in China, however, compared to most western countries, the living cost is still lower. Budgeting 4,000/month (outside of rent) is sufficient to live a comfortable life in Shanghai. Q: Can I participate in Chinese-taught classes? A: The MGM program is taught completely in English. However, if you have an HSK 5 or higher level of Mandarin certificate, you can apply for other Chinese taught Master’s programs in Tongji-SEM. Q: How is the overall plan of MGM study? A: Students usually finish all the courses learning within the first year of study and then work on the thesis during the 3rd and 4th semester. In the 2nd year of the program, students can also choose to study abroad for one semester (non-degree exchange) or for two semesters (double-degree program). Thesis defense will be usually arranged at the end of 4th semester or 5th semester subject to different cases. Q: Can I apply for exchange program abroad during my study of MGM at Tongji-SEM? A: Yes, Tongji-SEM has partnered with more than 85 international universities/institutions and established over 10 double degree programs with renowned schools such as ESCP Europe, Grenoble Ecole de Management, emlyon business school, European Business School, Politecnicodi Milano and etc which are available for students to apply. Besides, there are more than 70 non-degree exchange programs for students to choose. Q: How will be the holiday arrangement? A: There is a Spring Festival holiday for a month, usually from the mid Jan to mid Feb subject to the moon calendar, and a summer break for almost two months (usually from mid July- early Sep). There is no holiday for Christmas. Q: What kind of extracurricular activities does Tongji-SEM offer? A: Tongji offers a wealth of extracurricular activities on campus such as Shanghai City tour during the orientation week, students-led clubs and programs like paper-cutting, Chinese calligraphy, dumpling-making, Shadow-boxing, and other regular activities like one-day excursion to water-town, Chat with Dean, New year party and etc. Q: What career services do you provide for employment in Shanghai? A: The Tongji-SEM Career Development Center (CDC) works closely with MNCs and Chinese corporations in and around Shanghai, hosts campus recruitment fairs every semester and distributes recruitment information among students from time to time. Some featured programs like company consultation projects have been carried out to foster the connection between companies, faculty members and students where students can enhance practical skill, sharpen their career focus and build early connections with companies. Students are also encouraged to attend the various lectures host by CDC and SEM to meet with CEOs, industry experts, practitioners, to broaden their vision and get well-prepared for the future career. Be noted that Chinese speaking skills are also very helpful for finding jobs in China, as most companies list this as a pre-requisite. Q: What distinguishes Tongji-SEM from other business schools in China? A: Tongji University, as a key university under the Ministry of Education, is a leading university with a great location in Shanghai — the financial center of China. As a triple-crowned business school by AACSB, EQUIS and AMBA accreditation, Tongji-SEM is one of the best business schools in China and has built prestigious reputation worldwide. In the Top 20 Business School Ranking in Asia-Pacific Region released by Financial Times 2018, Tongji-SEM was ranked 10th, top 3 in mainland China. In 2018, Tongji-SEM’s MGM was globally ranked the 35th for Master in Management by Financial Times’ ranking. It has been continuously ranked among top 50 in the recent two years. In the recent three years, Tongji-SEM has received more than 500 international students for each single year. Conclusively, Tongji-SEM is in one of the most popular university locations in China, renders students a unique and vibrant ambiance in terms of culture, living and studying facilities.